And here we thought only the Japanese made really weird ads. But no. This one comes from Brazil and it's for energy drink TNT. Created by Y&R Brazil, we have a very civilized rhinoceros making his way to the gym while wearing earphones and grooving to the music. 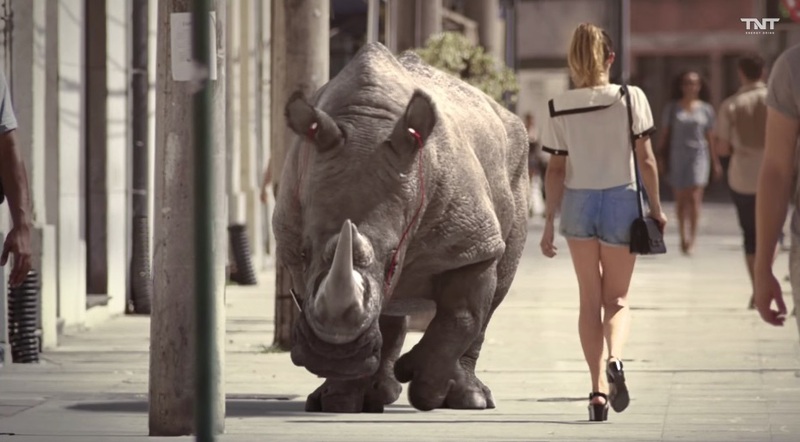 If you think it's strange that no one freaks out that there's a rhinoceros on the loose in the city, that's because the rhino is not really a rhino. Once the rhino gets to the gum and looks into the mirror, it's revealed that the rhino is really UFC featherweight boxing champ Jose Aldo.